As the weather turned cooler a few weeks ago, the kids and I started spending more and more time indoors. 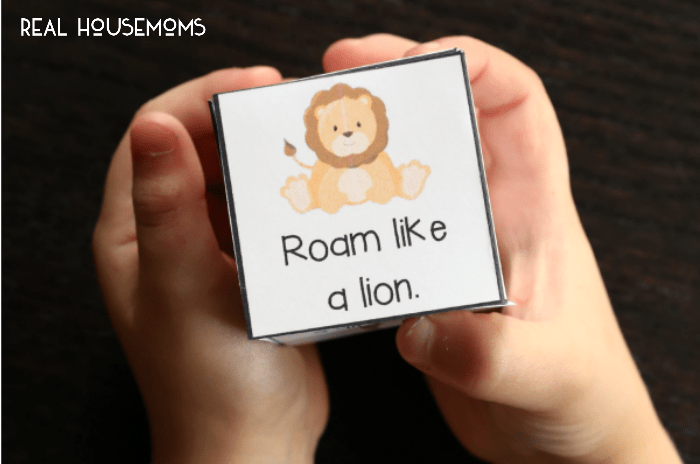 In need of an easy way to help them burn off a little extra steam one afternoon, I pulled together a set of super fun action dice to get them moving. To prep the activity, I simply printed the dice on cardstock to give them extra durability and cut around the outside border. Then I folded the inside lines and glued the tabs together to make a cube. Eager to get his hands on the fun new game, my oldest son (age 5.5) picked one of the dice from the set and rolled it on the floor. 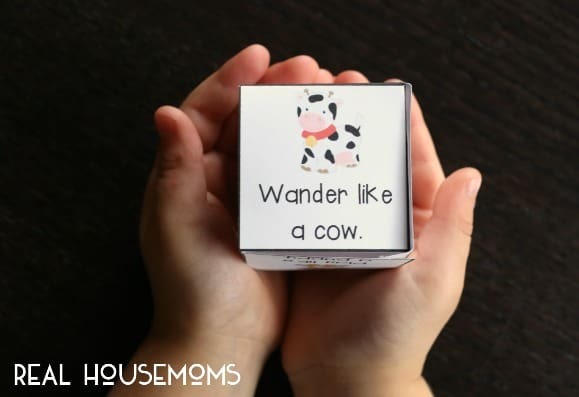 “Wander like a cow” landed on top so all three kiddos happily began meandering around the room, pretending to stop and chew on imaginary grass along the way. Middle Brother (age 4) rolled next. 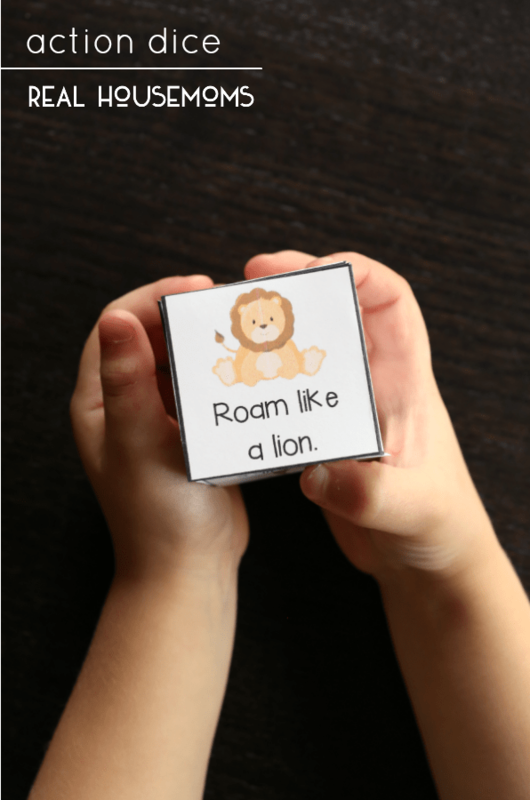 When the die landed on “roam like a lion” the kids immediately picked up their pace a bit as they began scanning the room for prey. Roll after roll, my kids excitedly switched from one movement to the next. They loved the fun challenge and I loved that they were letting off a little extra steam. Download your set of action dice here! 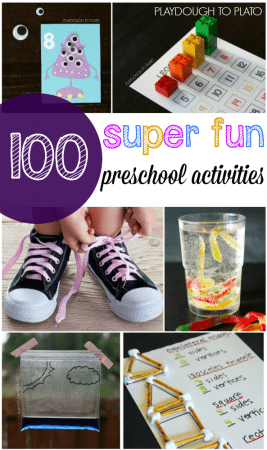 Then hop over and check out more than 100 motivating activities for preschoolers! Aubrey – what a great idea! This is such an easy and fun activity to do—I need more of these : ) I’m on a mission to build up a fun list of things to do when we are homebound this winter, and I have added your action dice to my list. I can’t wait to try it with my toddler! Thanks again!